The European Bank for Reconstruction and Development (EBRD) will help Kazakhstan’s flag carrier Air Astana build the first aircraft MRO center in Central Asia by providing a $14 million loan. The amount should cover the erection of a maintenance hangar, storage and administrative facilities, and a garage for special-purpose vehicles. The MRO center will be located at Air Astana’s base airport, Astana. Air Astana currently sends its aircraft for maintenance to independent providers abroad, primarily to the UK and China. The carrier does not even have its own hangars for airliners. When the new MRO center becomes operational, the airline will be able to service its fleet in-house, as well as assisting third-party carriers, the EBRD says. Air Astana’s plans to build an MRO base were announced last year. John Wainwright, senior vice-president of the carrier’s engineering group, commented at the time that the facility would be built in three stages. There will be three identical hangars, which will house one Boeing 767/787-sized aircraft each. The office buildings will be located behind the hangars. By combining the existing infrastructure with this new MRO center the airline will be able to service Boeing aircraft at Astana, Wainwright said. He also noted that about 15 hectares of facility floor would still be unoccupied, and that the company was considering different ways of making this area useful. The master plan was expected to be finalized in 2014, and the first stage completed by the end of 2015. The initial plan called for building one hangar per year, but the February 2014 devaluations in the Kazakh currency’s exchange rate forced the carrier to “constantly reassess the timeline for the second and third stages of construction,” Wainwright said. In May this year, Air Astana’s engineering group announced opening a new in-house EASA Part 147 training center, the first EASA-certified aviation training organization in the region. The carrier’s future development plans include an ab-initio EASA Part 66 school for technical personnel. 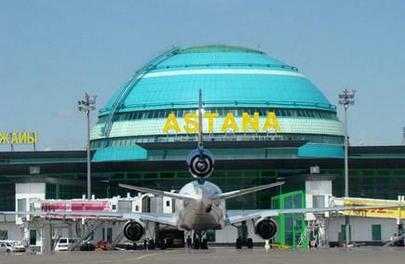 The EBRD is also involved in Astana Airport’s infrastructure upgrade projects. In July 2015, the bank announced it would provide $45.6 million for runway and pavement reconstruction and for expanding the apron area.